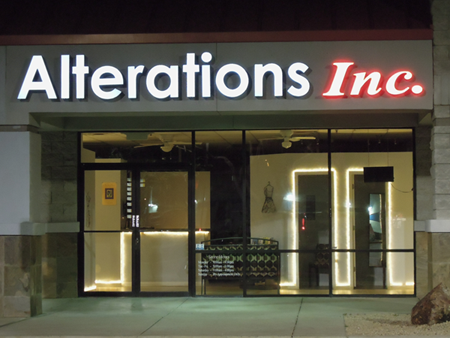 Voted "Best of Local" Alterations/Tailors 2008, 2009 & 2010, 2011 Member of "Phoenix Wedding Professionals"
Welcome to Alterations Inc. We operate a fully staffed retail store front in Phoenix AZ on the NE corner of Bell Road and 43rd Avenue where we specialize in providing affordable high quality tailoring, alterations and sewing services. Established in 1986, Alterations Inc. is A+ rated with the Better Business Bureau and proud members of both the Phoenix Wedding Professionals. Alterations Inc was the recipient of the Wedding Wire Brides Choice Award, voted "Best of Local 2009, 2010, 2011 and nominated for the BBB Business Ethics Award for 2011, 2012 & 2013"
Member of "NW Phoenix Wedding Professionals"